Our "Stock" tube kit comes with the exact same tubes that Mesa stocks the Mesa Boogie Lonestar with, however that are re-labeled (Ruby, Sovtek, etc). Pick this tube kit if you're tubes have worn out and you happy with the way your amp sounded before. Our "metal" amp tube kit is designed to produce richer, thicker, and darker tones. We've had a lot of great customer feedback on the Ruby 6L6GCMSTR's, as they've given people nice, thick distortion. For all preamp spots, we've supplied the Ruby 12AX7ACZ HG (JJ ECC83 equivalent). 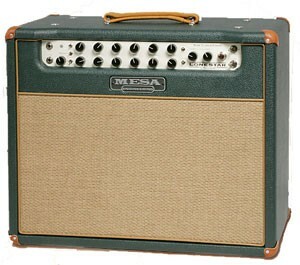 In V1 and V2, we're suggest high gain tubes to maximize the gain in your amp. Finally, we suggest a Sovtek LPS 12AX7 for the phase inverter. Our "rock" amp tube kit is designed to produce richer, smooth, fuller bodied tones. For power tubes, we suggest the Svetlana 6L6's. These tubes can supply a nice warm clean, and a smooth overdrive that can be pushed. For the preamp section, the Tung-Sol 12AX7 will add nice three dimensional sounds to your amp, and the Chinese Ruby AC4 HG 12AX7's will add some warm needed for Rock and Blues players. Finally, we suggest a Sovtek LPS 12AX7 for the phase inverter for optimal performance.